James Shore: What is Success? Organizational success is necessary for a product continue to receive funding. 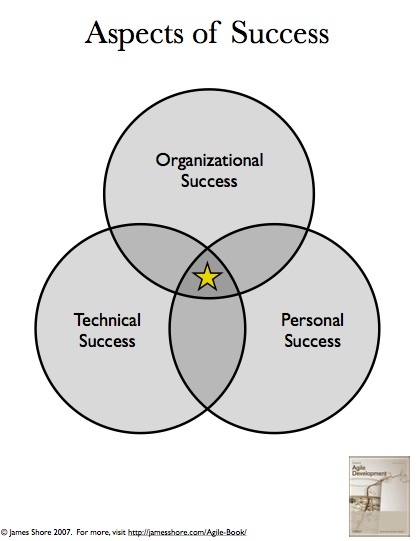 Personal success is required to receive support from stakeholders, prevent sabotage, and gain team member commitment. Recently, Jurgen Appelo pointed me at an essay he wrote that discusses (among other things) the nature of success. He takes a completely different approach. In Jurgen's view, success is the absence of failure. One thought that occurred to me as I read is that we could measure success as the length of time a product is in production. An intriguing idea. It's a fascinating essay, long, but worth the read. Take a look.